Pumps アーカイブ - Hirado Kinzoku Kogyo Co.,Ltd. 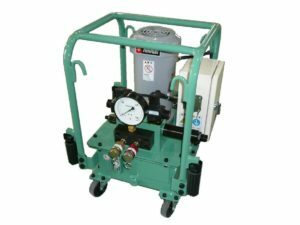 In-house developed, considering the balance of destructive power and operability of hydraulic machines. Applicable to Hirado Environmental Friendly Series (Wall Crushers, Wall Cutter, Splitter Series, etc.) with household 100V power socket, 3-phases 200V power socket or air. 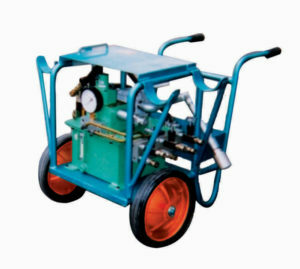 Although It is compact, has 85 MPa (Hydraulic pressure) and suits for different kinds of machines and job sites. Through our long history and experience, our pumps have been developed to be durable and easy maintenance. In consideration of maintenance and easy carrying, our pumps have the mechanical structure oil temperature to not rise easily.